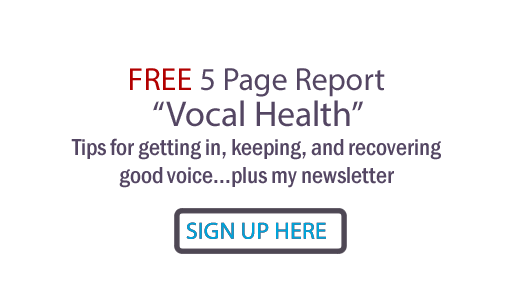 Judy Rodman - All Things Vocal Blog: A Great Vocal: How Long Does It Take? How Bad Do You Want It? A Great Vocal: How Long Does It Take? How Bad Do You Want It? First, ask yourself: how bad do you want to land that great vocal? My son's cat, "Hayes" demonstrates the intense determination you need to muster if you want to land the big fish- a performance you can play back for days with a big grin on your face! Don't settle for less than the prized goal, given time and money constraints (or a hooded glass aquarium). Train your voice to optimal condition at vocal lessons and vocal exercises. Practice your songs so you know them like the back of your hand. Experiment with phrasing, melodic variations, keys. Record worktapes of your efforts and playback. Memorize your lyrics, reading them will be like a wall between you and your audience and will negatively affect your performance in other subtle ways. Sing at full performance voice level for at least two or three hours every day for a week before your recording. Drink plenty of water the day before your session. Eat a non-mucus forming healthy, protein rich breakfast and/or lunch before you sing. Keep your mind stress-free, peaceful and calm on the morning before you sing. Don't get into arguments, long phone conversations, don't watch TV, etc. If you think this is like preparing for an Olympic event, you're right. Now that you're ready, how long should it take to capture that incredible vocal? If you are doing a demo or a budget project, I usually recommend figuring on from one to three hours per vocal. 1/2 an hour is possible, but I wouldn't count on it. Don't put that violin, 4th background vocal, oboe or second guitar on it if that means sacrificing lead vocal recording time. If you are trying for master vocals (vocals good enough for radio airplay) two songs a day is a good goal. Be sure and dress comfortably; if possible, have someone producing your vocals that you trust knows how to get the best out of you, and who empowers you personally. Schedule your recording time when you are usually awake, warmed up and at your vocal best. Noon or 2:00pm is a good start for me, but there are morning folks who sing great at 10:00am. To thine own self be true. Warning: Yes, there is effort involved but know when you're beating a dead horse. You can coax, wait for and give time for, but you can't force a great vocal. For master quality vocals there should be enough budget that if you are sick, not in best voice or mood on the day of recording, you stop, pay the studio for the time and reschedule your lead vocals for another day. That's right, just eat the recording money for the day and chill out. It just kills you to do this but, as I know from experience, you'll come back and be able to get a better vocal in much less time than you ever would by trying to MAKE it happen on a bad day. Hayes does not give up. He may go eat a snack, sleep or torment the dog. But to this day, he has not given up on landing the big one. Neither should you!